I first heard of blogging in 2012 and then started with a free platform. I can’t remember if it was my roommate of four years or my first ex-boyfriend who introduced me to this completely different world. Three years later, I found myself buying a domain which due to my village girl-ness, I gave it up because I failed to find out how it works, how to sustain it and for my thousands of endless nonsense reasons. Finally, one month ago, I launched my website and though I still haven’t gotten my act together yet, I am not willing to raise the white flag I have hidden somewhere and still trying my bestest to write and create something just because I love it. I thought blogging was easy. Maybe I got used to the fact that I was just using a free platform then that only required writing, posting and running. The only marketing I did was in Facebook if I feel like sharing it. My readers were just my friends, acquaintances and family. To have a successful blog wasn’t in my mind. All I know is that, keeping and maintaining a blog help balance my mental health. Writing is actually cheaper than therapy and I didn’t have to feel scared that people around me think I am a hopeless case. Plus, I have a creative outlet. I have huge respect for bloggers. Imagine being the Researcher, the Writer, the Editor, the Social Media Manager, the Digital Marketer, the advertiser, the Brand Manager, the Graphic Artist, the Web Developer and Designer, the Photographer, the Model, the Video Editor, the Art Director, the IT guy, the Customer Service Representative, the PR manager, the Investor (if there are no sponsors like me) and the COO or CEO all at the same time. This is what it means to be a blogger and I am honestly close to declaring that I am not. All I knew was I wanted to write about the emotions I have felt, all the things I have learned, all the places I have been to, restaurants where I have eaten, cute little accessories, shoes and dresses I have. I was wrong. I remember on the same day that I purchased my domain. I felt so happy. I felt like I bought my own little world and I have it my hands. My nightmare began when I looked at the blank page after installing WordPress. I felt like a paralyzed person. I couldn’t move my hands to start doing the dirty work of layout and design. Sure I have idea of how I want that world to look like but I don’t know how to do it. Sure I have articles but I will need to polish them to make sure that my grammar will not make me gag, the photos needed to be edited, Instagram to be updated and Pinterest to be figured out while trying to understand what SEO, widgets, niche and plug-ins are. I didn’t even know that Google Analytics exist and what significance it has in my new role as an aspiring blogger. Few hours after posting my first blog entry, I have to worry about responding to my only two readers who commented on the post and then answer their questions too? It’s a hard world to penetrate. 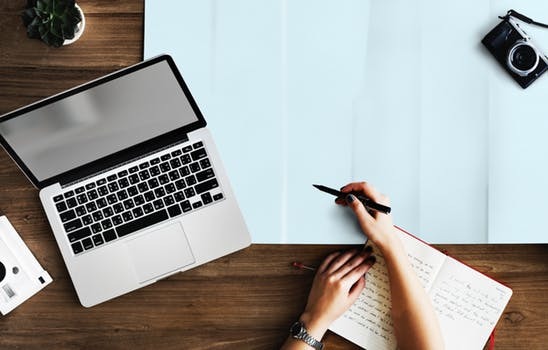 The rent to have that little space in the internet is not so high so there are bloggers who really make a living out of their websites and the competition is unbelievably high. Their dedication, talents, skills and intelligence is just remarkable. Not that I want to compete. Much as I want my website to grow and be profitable, I am more eager to be well versed in this digital world which doesn’t seem to show any decline in the future. I want to update my so obsolete technology program and I saw blogging as a good start. I joined Facebook groups of bloggers and surprised to discover that bloggers are good people. Despite how intimidating their websites are or how big their social media following is, they respond without any fee involved. They are good motivators. They support each other and that they are like-minded people who aren’t stingy with information. They respond in such a way I won’t feel dumber than I already do in terms of blogging. I remember asking a schoolmate for tips and suggestions but I was thrown to seen zone as if saying “who has the time for a clueless village girl like you?” When I joined groups, a lady offered to be my Pinterest Virtual Assistant for free and won’t accept even goods from me. Only a review of her performance. I just couldn’t accept her offer for the fear that I will not learn how to do it myself. Knowing how bad my ADHD is, I am scared to be dependent and abuse the kindness I am being given. I became more open to criticism. I think the only reason why I gave up blogging before was because I kept on doubting myself. I never believed that I have the ability to. I was always afraid of being criticized for my poor English grammar or my content isn’t good enough. Now, I will even share my latest blog post and ask other bloggers how I can improve it. Not for the growth of the blog but for my growth as a person and as a budding writer. I am learning how to write. I never realized how much I loved writing until I moved to Germany and all my friends are in the Philippines and Malaysia. Time difference was so hard to beat that I found myself resorting to journaling. I soon tried posting them as short Facebook entries. Few friends called my attention by suggesting to write a book that talks about my experiences on the road. But to write a book feels so heavy so I started with a blog. Sure my writing is not as good as I want it to be but I am learning. The blogging world has lead me to other bloggers’ works and through their websites, I feel more inspired and motivated to take little steps everyday that will bring me to my dreams of one day becoming the “wordsmith” that I have always dreamed of. Blogging trained me to be a better reader. To be a good writer is to be a good reader first and I am sure that I have read that somewhere. The same amount I spend in writing is the same amount of time I allot for reading or even more. Reading has made me bump into words, emotions and ideas that I never got anywhere. Sure I travel but there are still soooo many things that I still want and need to know and I am aware that it’s only through reading that I will be able to achieve that. So far, reading has been a huge help in giving me enough words to express my thoughts, ideas and emotions. Blogging has made me free more time to sit, read and live slowly and reading has made me a completely different person. Blogging made me define success differently. All the while I thought that being successful means having a lot of money, stable high paying job, friends and a hot guy to date. So in the world of blogging, I thought that success means having tons of followers, readers and people who talk about the blog. I was wrong. Because for me, success in blogging simply means, being out there telling the world that it is okay to be different. It is okay to bask in glory of simple joy. It is okay to have just one reader even if that one person is your best friend. It is okay to not have a big number of followers. It is okay not to have niche. It is okay to do what you want to do with your website. It is okay to be weird like me that every time I publish a blog post I feel successful because I didn’t let my fear win over me and that is pure bliss. I was thinking of hiring a Virtual Assistant and I will just have to think of writing but then I realized, “how will I learn?” What’s the point of having a website that I don’t have any idea how to run it? I remember being able to finally create the Menus, Categories and Sub-categories then posted my first few articles. My website layout looked like a real mess (it’s still a mess) so I wanted to do something about it. When I went back to page landing, the entire Menu was gone. I panicked and no matter what I did and what I clicked, I couldn’t make it appear anymore. For 15 minutes, I cried in frustration. My laptop has hundreds of tabs open and I was in chaos (I still am). I opened YouTube and with tear stained cheeks and blurry sight, searched on ways how to make the Menu appear. Thank you You Tubers and bloggers. My Menu is back but I still don’t know how to link my website to AdSense. Life is short and we only have 24 hours. No matter how much I stress about wanting to accomplish and learn more, there will always be the gift of tomorrow. The most important thing I have learned in blogging is that it is okay that my page looks like a battlefield. It’s okay even if my blog isn’t everything to everyone. All that matters to me is that I write and I actively create something without the aching pain of pleasing everyone or wanting to be somebody else. 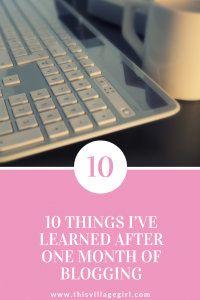 Embracing blogging is welcoming a new beginning with tons of learning. Blogging gave me an assurance that I will never be bored again. It is a proof that it there is always something to learn and really, age is just a number. It is never too late to learn something. “see success differently” is so true for me. I take the little wind and celebrate them. It makes this blogging experience much more enjoyable. Actually, it makes all of life more enjoyable too. Hey Dani! This was great! I just launched my blog about a month ago, too! 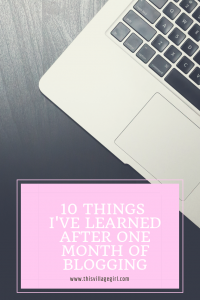 Your perspective on the things you learned during the first month is spot on! I am totally feeling the hard-to-get-in-to section of this post. I think that if we keep on keepin’ on, then we will eventually reap a harvest! Happy blogging my friend! Very insightful for newbie bloggers! 🙂 I will look forward to your future posts too. Patience is my number one and also not giving up and just keep on moving forward. In a way I am using my website as a portfolio and my practice space for writing and creating. I could relate so much to this. Blogging can definitely be daunting in the beginning (and for quite awhile after) but you gain confidence and start to get much more out of it. I’m still very much a beginner and working on it bit by bit. There’s always something new to learn. This is a great post! I relate to it so much…I just started my blog in May and I am always researching and trying to learn as much as I can and it can get super overwhelming! You are so right it is so important to relax and have fun! I need to constantly remind myself of this everyday! I can relate. I’ve met a lot of awesome people through blogging and my writing skills have improved! You’re so on point about success! I can relate to many of these points. And blogging is another, completely different world. I love this world. It may be tough, but it is also so empowering to know that you can help someone by sharing your story. I guess this is the most beautiful words I read ” but you have to just show up the next day and keep on going.” Thank you so much for reading Kippi. Happy summer too. I can so relate, especially the patience part. It’s so easy to want to do everything and do it now but as they say, it’s a marathon, not a sprint. Great article! Patience is definitely key! “Blogging trained me to be a better reader” and “I am learning how to write.” are so true! 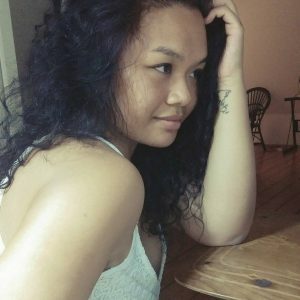 I have relentlessly trying to write better posts and appreciate the critiques I get. I can say that I am a better writer than two years ago thanks to blogging. Just need to listen to the criticisms a lot more without getting too angry with myself. ありがとうございました for reading. =) and I am trying to learn to accept criticism to without strangling the critic. haha. wow. two years. you must be a blogging pro by now. 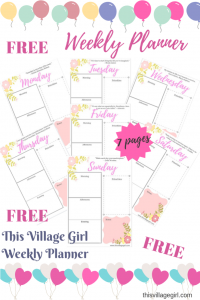 When my sister and I started our blog, I didn’t think it would be too much work. Boy, was I wrong. You are so right that patience is so important for a blogger to learn. Thanks for the post! Keep up the great work. I feel like I could have written this post myself! I love it! 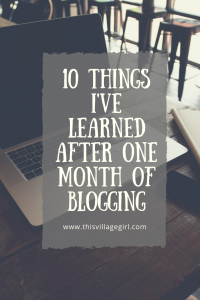 I’ve been blogging for about 18 months, and while you do settle into a rhythm, it’s not always easy! Thanks so much for sharing your words with the world! I’ll be back to visit for sure! Really interesting insight! As a fellow blogger, I’ve had many of the same aha moments. I really love this! Its so true, blogging takes so much passion, hard work and commitment. I have been blogging less than a year but right now Im so busy with my business I haven’t been able to dedicate enough time to it! This is inspiring me to do more! Great read! I’ve been doing this for three months now and I’m still struggling. Especially with patience. I get no real support from friends or family. Except for my mother. Bless her. I get basically no genuine interest from the outside world….yet I keep going. It’s hard and some days I feel like quitting but I won’t. I love doing blogging and I hope one day I can make a living from it. It would be the best job ever! I found myself nodding my head as I was reading your post. My experience has been similar to yours. Judging from the amount of comments you have, I’d say you’re a success! Keep the white flag hidden. Next Post How Not To Write “About Me” in Your Website Page.